In Samut Prakan, Phra Chulachomklao Fort is located in Phra Samut Chedi District. Built in a European style by King Chulalongkorn between 1884 and 1893, the fort was the site where the short war started between Siam and France in 1892 when cannons fired on French boats. Seven of the cannons are still to be seen at the Fort transformed into a museum while an exhibition in the Historical Park tells all about the Franco-Siamese War of 1893. Nearby, Paknam Observation Tower is the only one in Thailand. It stands at 179 m over ground. It is due to open this year and will provide wonderful views over the Gulf of Siam as well as the Chao Praya River. How to get there: Samut Prakan or Pak Nam is easily accessible by the BTS Sukhumvit line which opened at the end of last year. 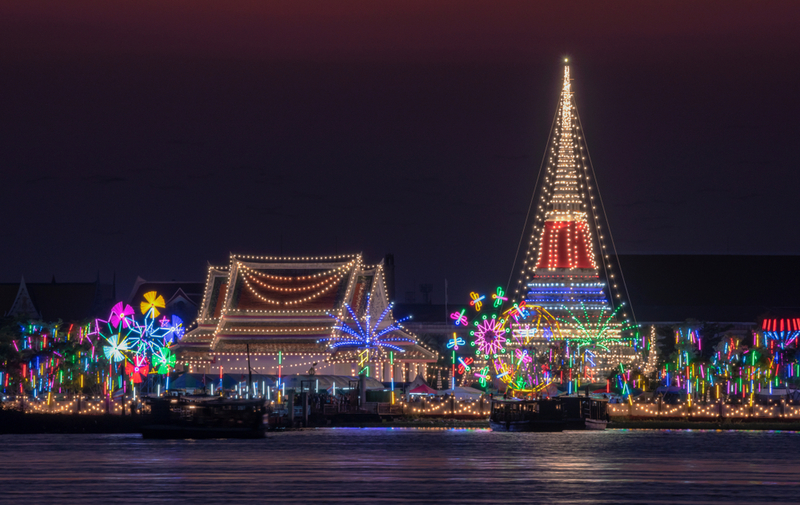 Wat Phra Samut Chedi is one of the province’s most revered pagodas. Construction of the temple began in the times of King Rama II around 1827–1828 and was completed during the reign of King Rama III. The pagoda seems to stand on the water. In fact, the island is now connected with the left river bank and accessible by walk. How to get there: From the pier next to the Pak Nam Market, a ferry takes visitors to the west side of the Chao Phraya where the temple is located. The small island of Koh Samed is a seaside paradise for tourists with pristine beaches concentrated along its eastern shore. It is popular for foreign and local tourists with many hotels and water sport activities. There are 14 white sand beaches in Samed, surrounded by colourful coral reefs. To the northeast, Hat Sai Kaew, better known as Diamond beach, is the largest and most popular, while Ao Phai Bay is attracting a more hype clientele. 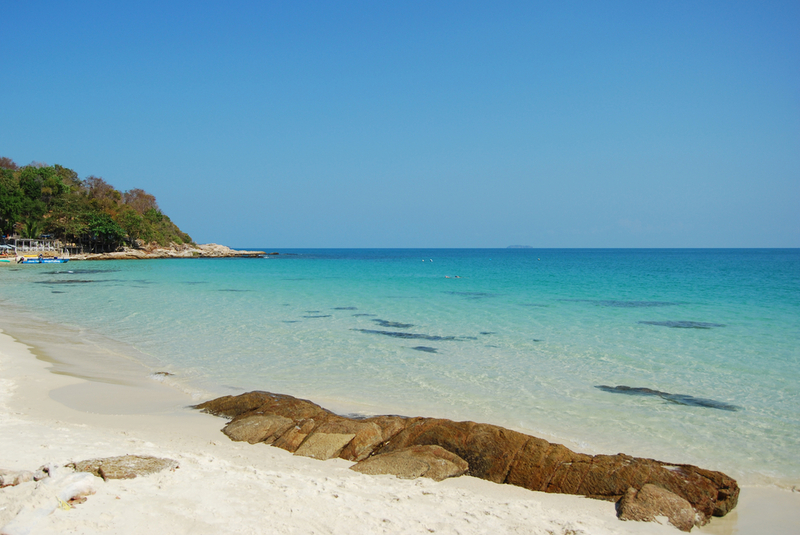 The island is considered part of Khao Laem Ya–Mu Ko Samet National Park, which covers an area of 131 square km of land and sea. Due to its belonging to the National Park a fee is imposed to enter Samed island. How to get there: Boonsiri operates a joint bus + ferry service from Bangkok to Koh Samed via Ban Phe Pier in Rayong. Khung Wiman is a famous beach in Chanthaburi Province, with some of the clearest waters around the Gulf of Thailand. The beach is located at Amphoe Na Yai Am, 15 km west of the city. The place is peaceful with a few fish restaurants and limited accommodation which assures the tranquillity of the location. Fishing is allowed in areas located north and south. 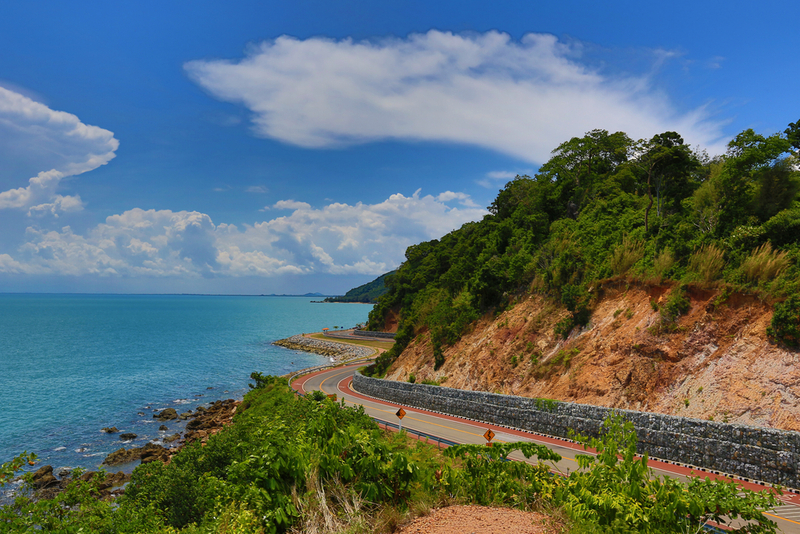 Khung Wiman Beach is turning popular because of the road along the coast which is considered one of the most beautiful panoramas of the Gulf of Thailand. The road passing through small hills is curved and provides spectacular view points. Officially called Chalerm Burapha Chonlatit, it links Khung Wiman Beach, Khung Kraben Bay, Lam Sing Beach and Chantabury estuary. The best photo shot is from Noen Nang Phaya View Point. This road is recommended by the Tourism Authority of Thailand as one of its Ten Dream Destinations. 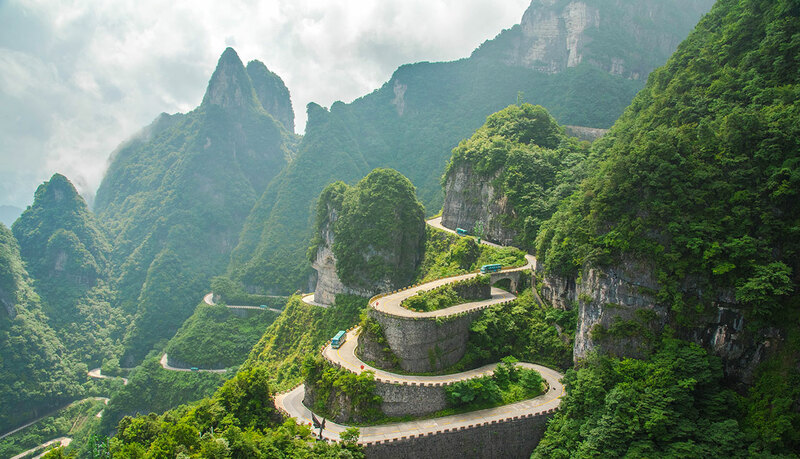 The road is also suitable for riding bicycle. How to get there: The road is located aside of the main highway linking Rayong to Chanthaburi, west of the provincial capital. Public transport is available. 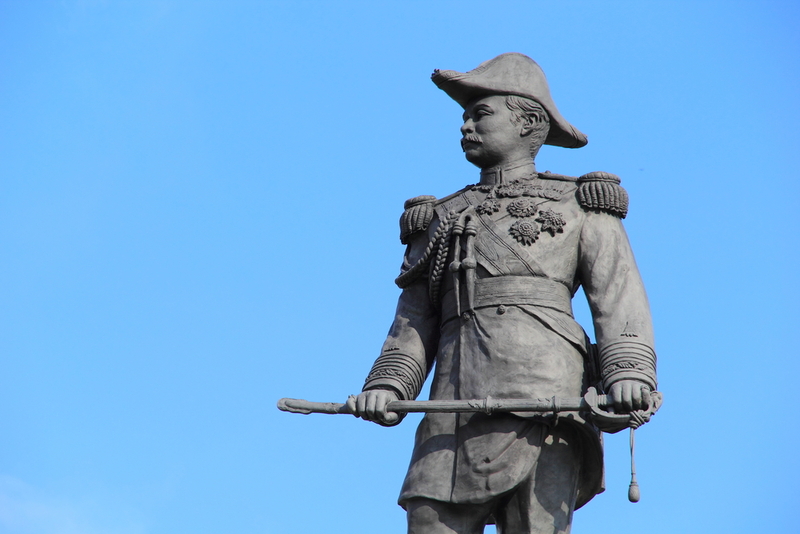 Following the Franco-Siamese war, French annexed the provinces of Chanthaburi and Trat for a dozen years before returning them to Thailand in exchange for provinces now located in Cambodia. Despite this short period of time, French influence is still visible in the architecture of Chanthaburi town, called then Chantaboon. Nestled along the river, old Chantaboon community has many traditional food and craft shops, art galleries and even some boutique hotels installed in houses bearing French flavour with their arcades and European style windows. Baan Phokabarn has an information centre and a small museum showing old pictures of the area. Across the river stands the impressive Cathedral of the Immaculate Conception built in neo-gothic style with painted walls and stain glass windows manufactured in France. How to get there: The old town is easily accessible by public transport or taxis from Chanthaburi main bus station. The Gems Market or Gems Road is a well-known commercial area in Chanthaburi attracting jewel traders from all across Thailand. There are some 120 jewels and gems shops concentrated along Si Chan Road and its side streets in Wat Mai subdistrict in town, making it the biggest trading hub for gems in Thailand. 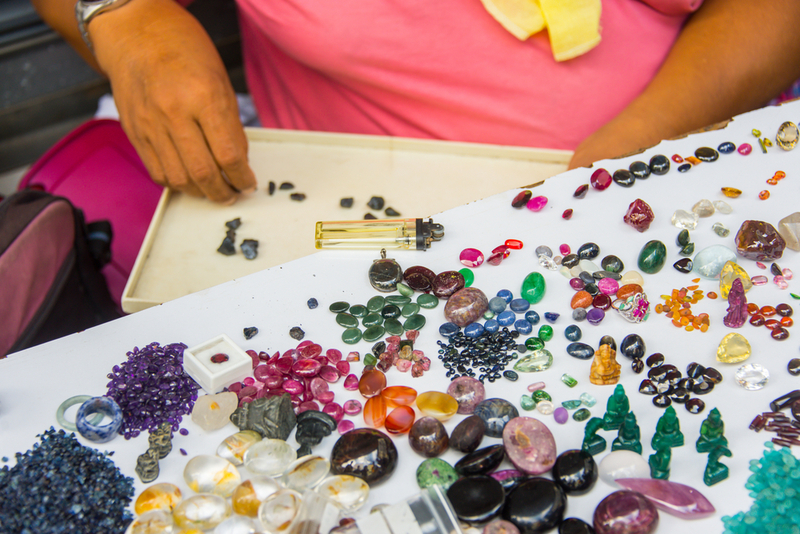 It is a lively area where everyone is trading and bargaining the precious stones. There is also a museum telling all about the history of gems trading in Chanthaburi and explaining the origin of the stones. The gems market operates on Fridays, Saturdays and Sundays from 10.00 am to 3.00 pm. How to get there: The market is in the heart of town and easily accessible with public transport or taxi from the main bus station. 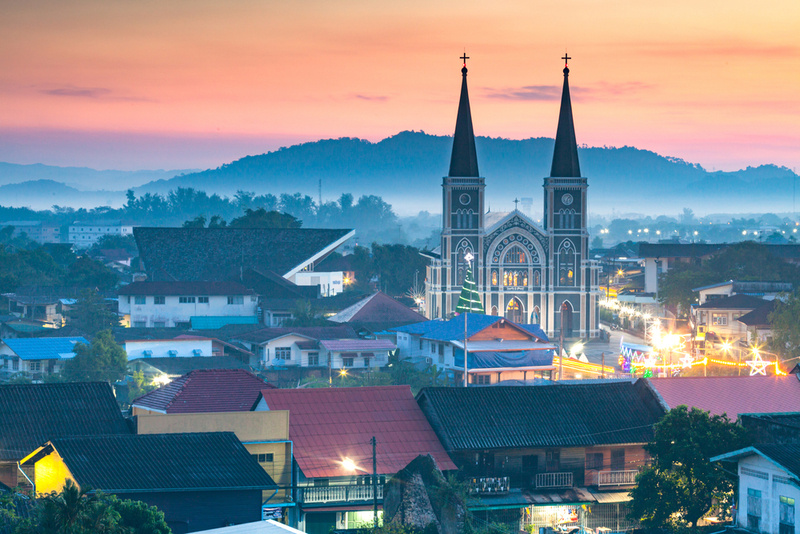 Trat has some French historical vestiges to discover as the city was also for a short period part of French Indochina. The historical town, Bang Phra district, offers also a range of 100-year old wooden houses, some built during the 14-year time of French occupation. The former house of the French Resident in Trat is located on Luk Muang Road and has been renovated. 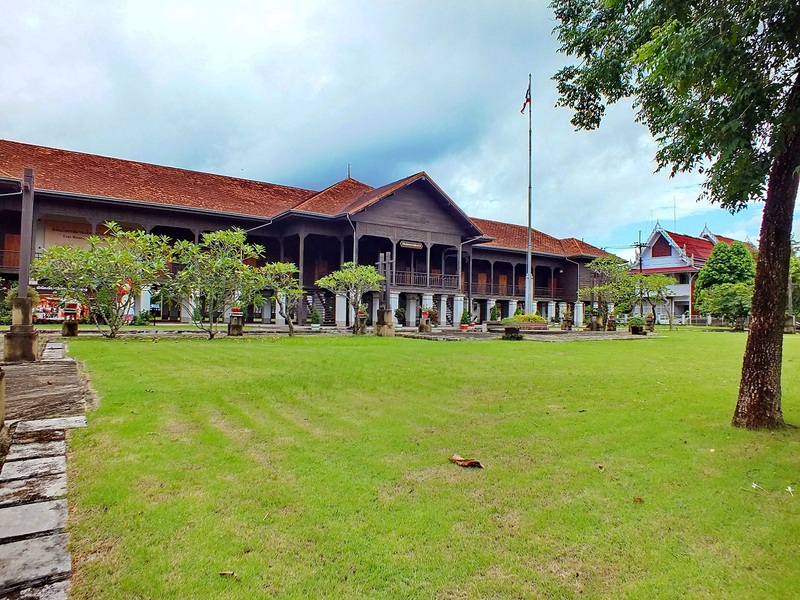 Do not miss the former Trat City Hall, today Trat Historical Museum which shows the evolution of Trat over time and explain all about the French-Siamese war. How to get there: Trat is easily accessible by public bus or a short flight from Bangkok. On the way to the coast, a large memorial evocates another naval battle between Thailand and France in 1941 in the midst of World War II. The attack was conducted by French ships to support a land offensive planned against Thai troops at the border to Cambodia. 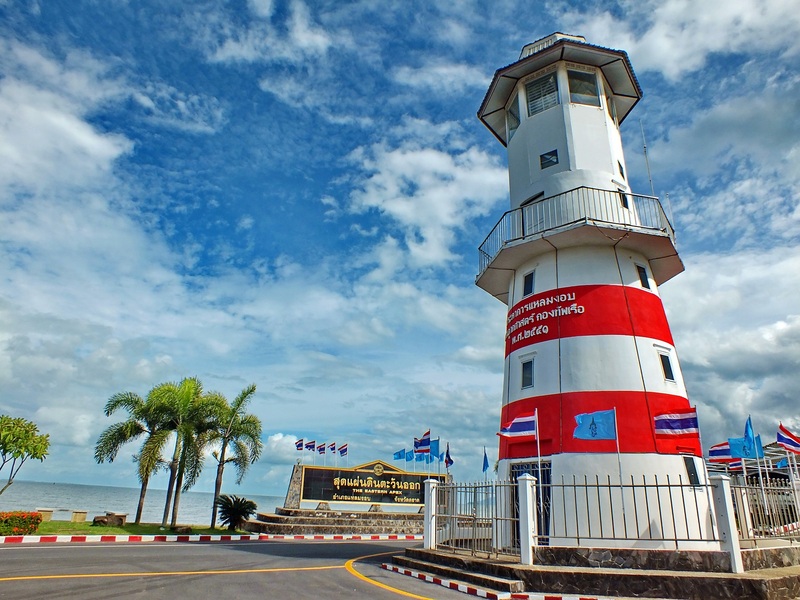 Koh Chang Naval Battle Memorial is next to the light house. Inside the museum under the Memorial are pictures and documents telling about the battle between Thai and French boats. From the top of the memorial, there is a superb view up to nearby Koh Chang Island. How to get there: There are public buses which regularly link Trat city with Laem Ngop, facing Koh Chang. 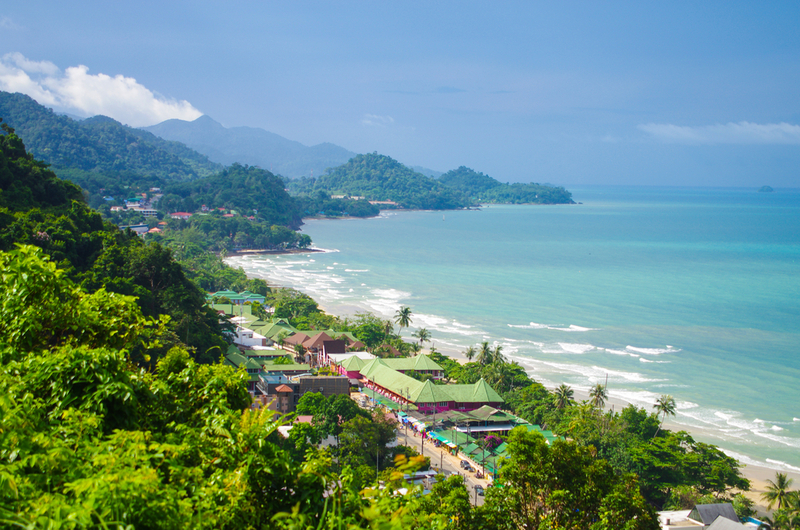 Koh Chang is one of the most popular islands in Thailand. It is the second largest island after Phuket and the largest one along the Gulf of Thailand. It offers long white sandy beaches, crystal clear water, rainforest on most part of its territory and waterfalls. There are more than 50 large and small islets nearby. The island is a prime destination to explore the natural beauty of Koh Chang Marine National Park, which includes dozens of unspoiled islands. Koh Chang is also home to a photographic safary with wildlife including elephants, native birds and deers. There are many accommodation options with an increasing number of luxury resorts and hotels concentrated in Hat Sai Khao, Hat Kai Muk, Hat Ta Nam and Laem Bang Ba. How to get there: Boonsiri operates daily ferry services connecting the port of Trat to Koh Chang as well as joint bus + ferry services from Bangkok. 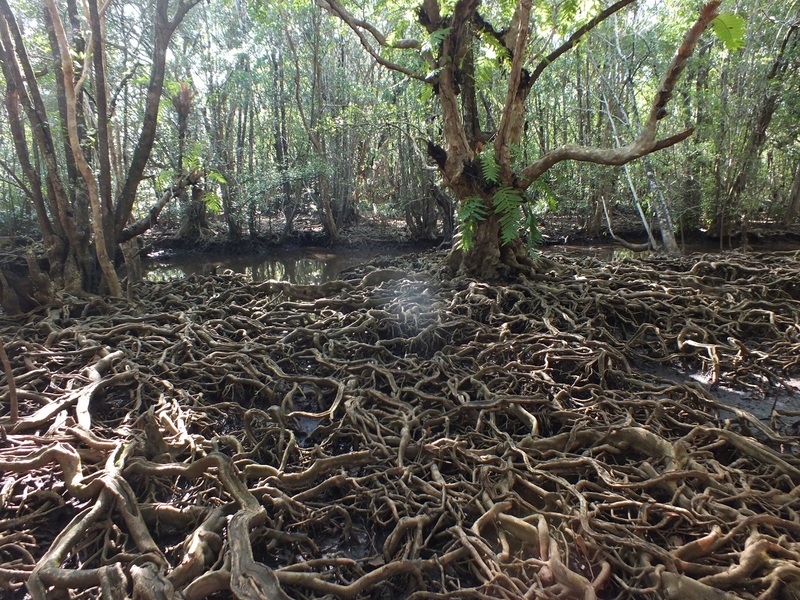 Ban Tha Ranae mangrove forest in Trat is like going to a forest emerging from a fairy tale. Well preserved and watched out by local communities, the forest is characterised by its giant roots forming strange shapes which evocates fairy forests in cartoons. Locals organise one hour tour in small wooden boats with visitors able to take part in activities such as planting of shellfish and nipa palm tree saplings as well as creating ten pin bowling by using the fruit of the Ta Boon tree. How to get there: South of Trat city in the direction of Laem Sok, Ban Ta Ranae and its magical forest are located at the junction of national roads 3155 and 3449, direction of Nong Khan Song Sub-District. Only accessible by private vehicle. 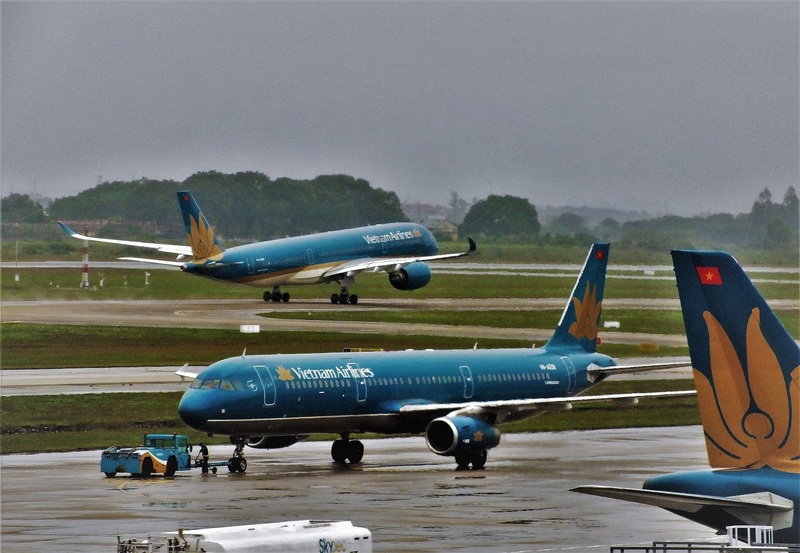 Baolau integrates domestic flights to Rayong and Trat as well as ferry routes to the islands of Koh Samed, Koh Chang, Koh Kood and Koh Mak in the Gulf of Thailand.